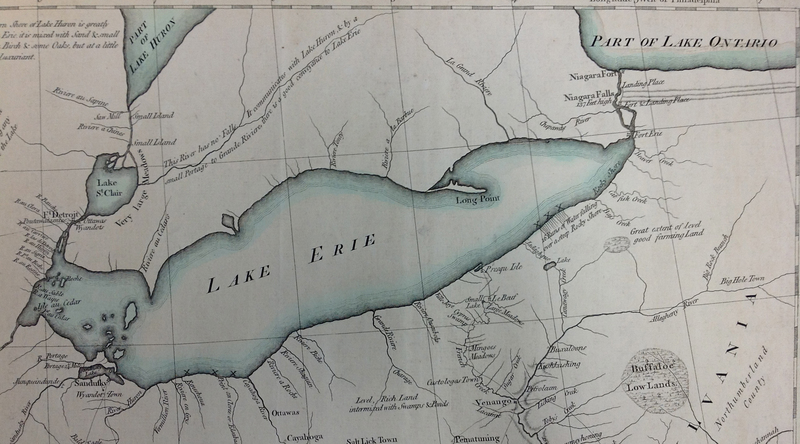 Heritage Charts, in collaboration with the Great Lakes Scuttlebutt Magazine, is proud to present a series of articles on Historic charts and original surveys of the Great Lakes region. All of the charts and surveys are part of the growing Heritage Charts catalogue and are all sourced from original documents which have, for hundreds of years, been held in a variety of British archives and collections. These surveys were all compiled by the British, for the British… of the waters bordered by the recently formed American Nation and the British Dominion of Canada. In the years which followed the final loss of their British colonies in 1782 the British had instigated policy to thwart and disrupt American efforts to encroach upon the border territories of Southern Canada and control of the Great Lakes region. This included the harassment of American shipping and the pressing of American sailors into the British Navy. The British had also actively supported Native American Indian resistance to American expansion westward across the Northern territories. By 1812 political and military tensions had over-boiled and the British were once again at war with their former colonies. During this time the near legendary Oliver Hazard Perry came to prominence on the American side for inflicting a major defeat on the British Navy whereby six British ships were either sunk or captured upon the waters of Lake Erie.. Following the demise of hostilities and the ensuing ‘peace’ in 1814 the priority for both nations once again became the settlement of borders and the resumption of colonization of these immensely fertile lands and waters. By 1815 the British had already started a major survey program, utilizing all of the expertise they had gained through the lineage of such cartographic luminaries as Samuel Holland who had overseen the General Survey of North America after the end of the French Indian war in 1864. It was, in fact, Holland’s nephew, Joseph Bouchette who in 1815 had taken up the mantle of Surveyor General of the Southern territories of Canada. Bouchette himself produced an number of the initial surveys and much of his original work is included in the Heritage Charts collection. The Town and Harbour of York, Ontario, known today as Toronto. In 1816 the British engaged one of their most prominent surveyors, Captain William Owen, who had previously been building himself a reputation as something of an explorer and surveyor in African waters. Owen arrived in Canada and immediately set up base at Kingston on the Eastern shore of Lake Ontario. He quickly developed a talented and committed team of surveyors and for the next two years he set the standard all surveying in the Lakes region. Owen’s survey work was not just accurate but it also provided the basis for military planning and the location of forts, settlements and National borders. 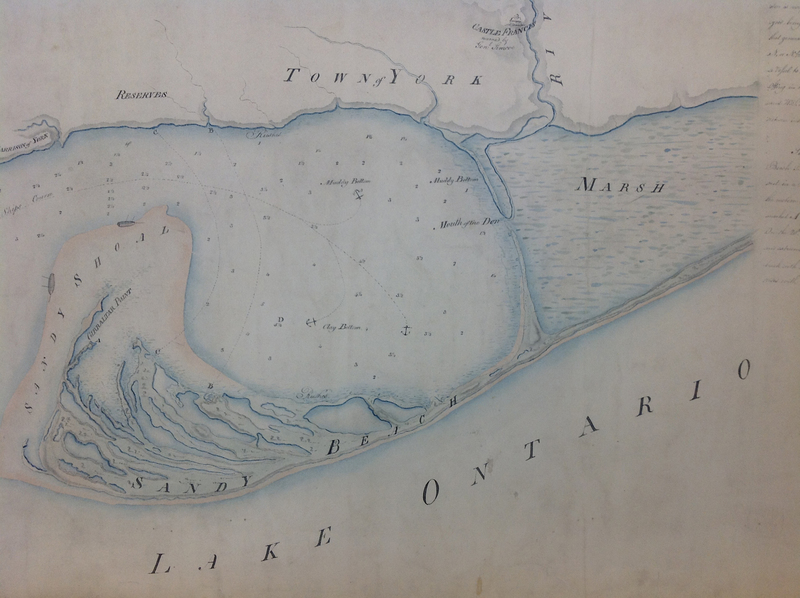 Owen’s survey of the River Detroit (below) was specifically drawn to delineate the channels of the River such that the border between the American Nation and the British Dominion of Canada did not lead to further dispute. Section of a Survey of the River Detroit by Captain William Owen. 20th August 1815. In 1816 Owen’s team of surveyors was augmented by a talented young man named Lieutenant Henry Wolsey Bayfield, RN. 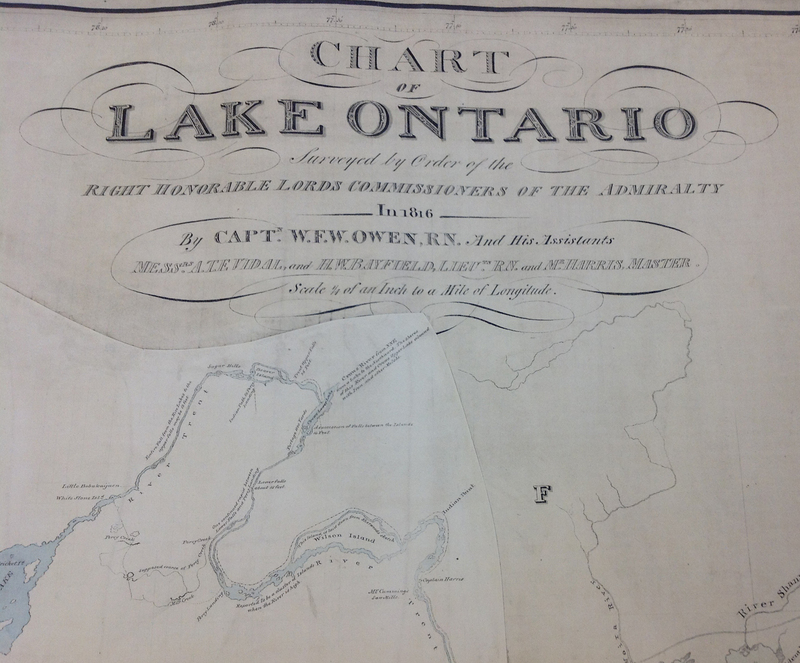 When in 1817 Owen, and much of his team were suddenly and unexpectedly reassigned by the Admiralty to other duties it was Bayfield who took over the Great Survey of the Lakes. Bayfield, like his mentor Owen, produced exemplary work and his long command as Admiralty Surveyor for North America took Canadian surveying through until the mid 1830s. Bayfield is today recognized for his meticulous work. Many of his surveys formed the basis for charts made into the later part of the 20th century.